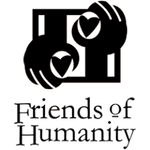 Friends of Humanity 4 Haiti wants to extend a sincere thank you to Ms. Madana. Since 2012, she has been collecting food every month for the kids at House of Hope. Renel Noel, our president, said, “How she does it, I do not know.” We are humbled when every month we pick up so much food from one person. If we all do the same, sharing with others, great things could happen. Board member Kathleen Monahan has contributed tremendously to the children. Kathleen’s niece has joined in by donating many items along with donations contributed by high school students. The high school students are even paying for their own shipment… and this allows us to send everything together. We could not bring such hope to northwest Haiti without the kindness of heart of people like Ms. Madana, Kathleen’s niece, and her fellow students. Words are truly inadequate to express our appreciation. Pictured is the food Ms. Madana collected this month alone!